It is one of the oldest ski areas in the United States, and arguably one of the most beautiful. Alta, located at the head of Little Cottonwood Canyon in Utah’s Wasatch mountain range, officially became a ski area in 1939, and is now one of the country’s top skiing destinations. But how Alta came to be is where the real story lies. From miners and loggers to publishers and mayors to Olympians and engineers – meet the people behind Alta with historical footage and present-day interviews in The Alta Experience, previously seen on public television. 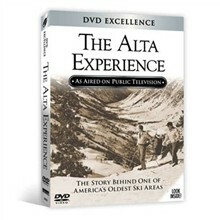 See film of Alf Engen, the champion ski jumper who first recommended Alta become a ski area. Find out how some “spare” parts were used to build Utah’s first chair lift. 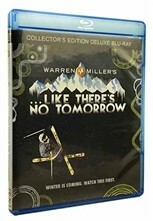 And watch vintage movies of the area’s first skiers. Plus, enjoy spectacular scenes of the mountain today and fully appreciate the beauty that is Alta. Run time: Approx. 55 min.